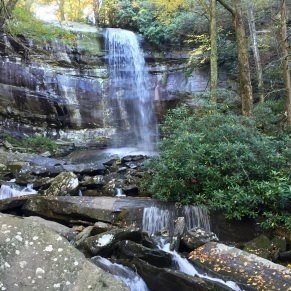 Metcalf Bottoms Trail is a relatively easy hike, making it appropriate for guests of all ages. 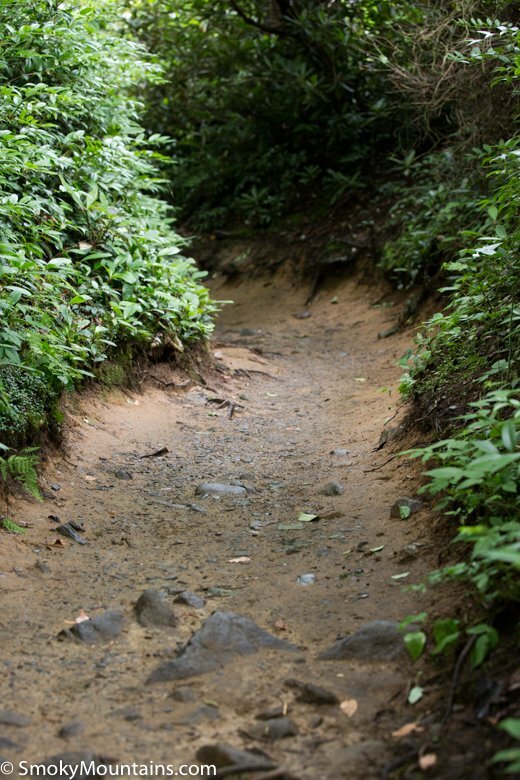 Everyone from young children to seniors can enjoy this easy-to-hike, dirt trail. The hike, which is a brief 1.2 miles roundtrip, features old homesites, footbridges, historical cemetery, and a schoolhouse from the 1930s. 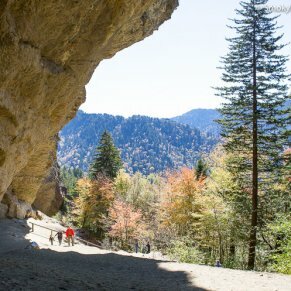 The Metcalf Bottoms Trail is a short dirt trail that extends off of the popular Metcalf Bottoms picnic area. 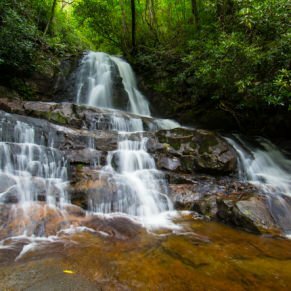 Many stumble onto the 1.2 mile roundtrip trail during lazy summer afternoons spent along the Little Greenbriar River, while others come specifically for the cool shade and beautiful foliage that spans spring through fall. Metcalf Bottoms Trail begins at a 1,700-foot elevation and only gains 100 feet from start to finish. However, it is important to note that the trail is not a gradual ascent, but rather a combination of an ascent and descent. Though it is not strenuous, visitors should be aware that there will be a uphill climb required both ways on the round-trip hike. The entire trail is made of dirt and is well-worn after years of use. Tall trees and beautiful foliage envelop the trail in a natural canopy, and the Little Greenbrier River runs just parallel to the trek. Keep in mind that many of the trees are very old and have large roots that cross the trail. For this reason, we recommend leaving strollers at home, as you may spend a lot of time lifting the wheels over roots rather than pushing them along a smooth surface. An uphill ascent begins just 0.1 miles into the trail, at which point you may notice a combination of natural landscapes and old, historic landmarks. Specifically, there is a rock wall located to the left of the trail that marks an old home site that was once part of the now abandoned Little Greenbrier community. After topping the hill, the trail descends downward again, with three split-log footbridges located near the 0.5 mile mark. Once you cross the three foot bridges, you will arrive at Little Greenbrier School. 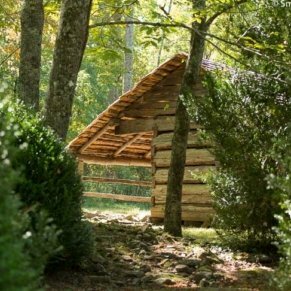 A small log cabin is located at the end of Metcalf Bottoms Trail and is open for touring. The cabin was built in 1882 and used as a school house and church for more than 50 years. Though it is more than a century old, the tiny structure still contains an old blackboard and desks that were used by the small Little Greenbrier community many years ago. On certain days throughout the year, visitors can sit in on living history lessons still offered at the old school. 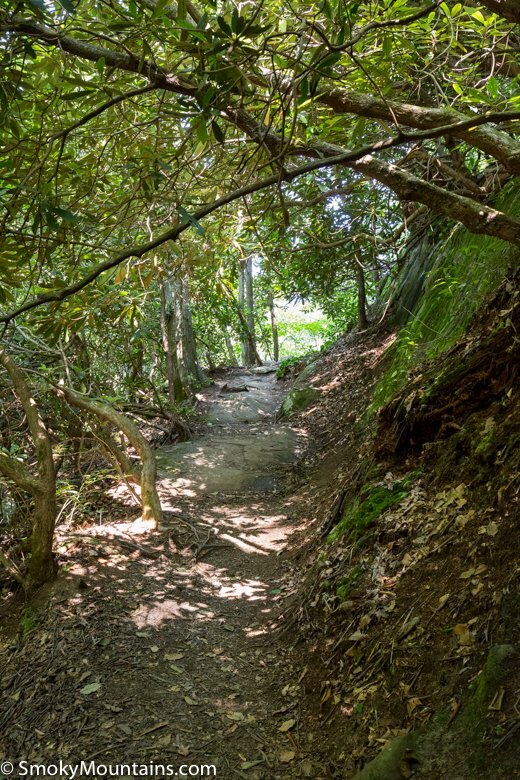 For those who wish to extend their hike, another trail — the Little Brier Gap Trail — connects to the Little Greenbrier School and continues on for another 1.5 miles toward Walker Sisters Cabin. Alternatively, you can turn around and return to the Metcalf Bottoms Trail parking area the same way you came. 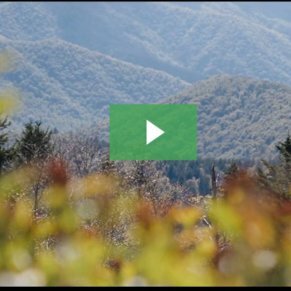 We recommend allotting an hour for a round trip hike, which includes 20 minutes both ways and another 20 minutes to explore the Little Greenbrier School area. 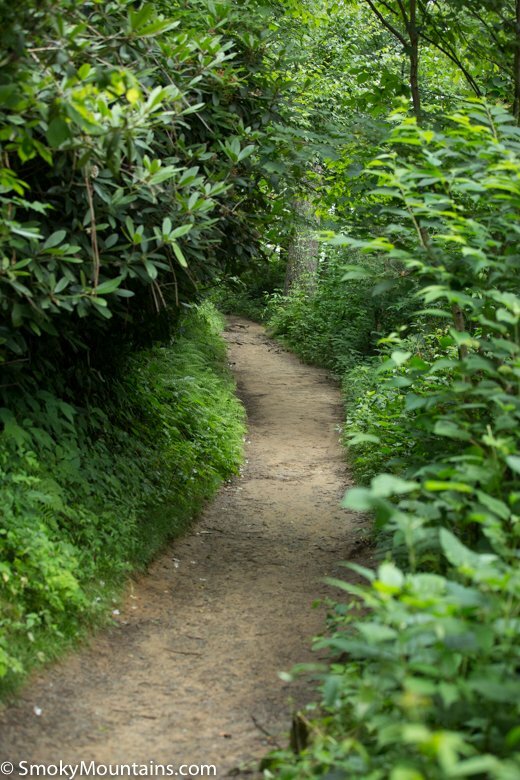 The Metcalf Bottoms Trail is easy to access from Gatlinburg. 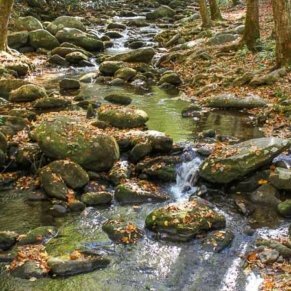 Take US-441 into the Great Smoky Mountains National Park, and take a right onto Little River Road next to the Sugarlands Visitor Center. The Metcalf Bottoms picnic area is approximately 9.5 miles ahead on the right immediately after a picnic area sign – the area does not have a street address. A small parking area is located just across the wooden car bridge across from the trailhead. If this parking area is full, there is larger parking area available next to the picnic area. -Many families who hike the Metcalf Bottoms Trail opt for a picnic lunch before or after their hike. The Metcalf Bottoms picnic area is conveniently located next to the trailhead and has a large pavilion that can hold up to 70 people. Stop here for a restroom break and to fill up your water bottles at the potable water station before and after the hike. The pavilion can be reserved for groups and includes access to charcoal grills onsite. 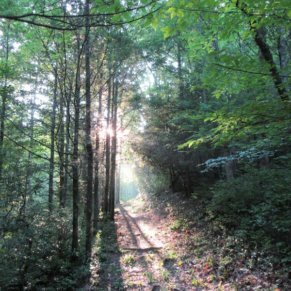 -The Metcalf Bottoms Trail experience is enhanced by area features, such as excellent fishing and opportunities to see animals like birds and bears in their natural habitats. Come during the spring to see a bevy of wildflowers along the trail, or take in the changing leaves during a cool fall afternoon. During the heat of summer, bring your swimsuit along for a dip or tubing in the adjacent Little Greenbrier River. Whether you come alone for a peaceful walk, or bring the family for a full day of fun, this popular trail has something for everyone.